Idle Hands: Venture Brothers Season 5 Coming June 2nd! Adult Swim announced today the highly anticipated return of the animated series The Venture Bros. premiering Sunday, June 2nd at Midnight (ET, PT). It's back to the Venture compound for an epic fifth outing! 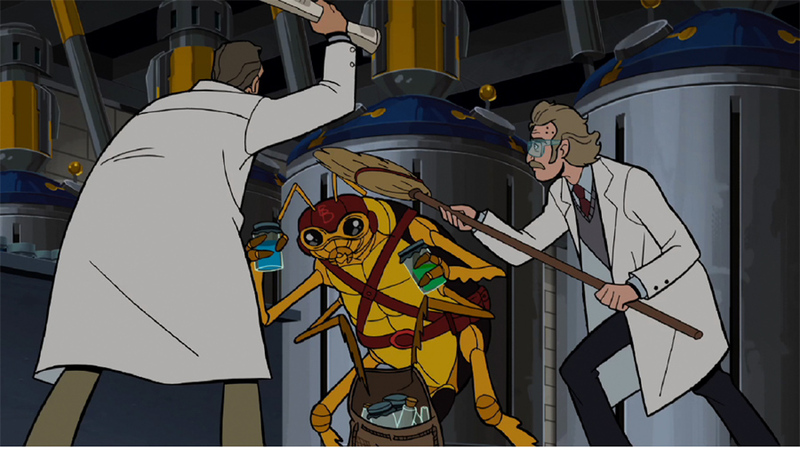 The fifth season of The Venture Bros. picks up moments after the stunning climax of season four and hits the ground running for a season of globe-trotting adventure and stay-at-home suspense. But no matter where it runs—from the steamy jungles of Central America, to the sparkling sands of the Greek Islands, to the seedy back alleys of Tangier, to the jagged cliffs of By-Golly Gulch—the Venture family can’t escape the treachery of enemies old, new, and within. 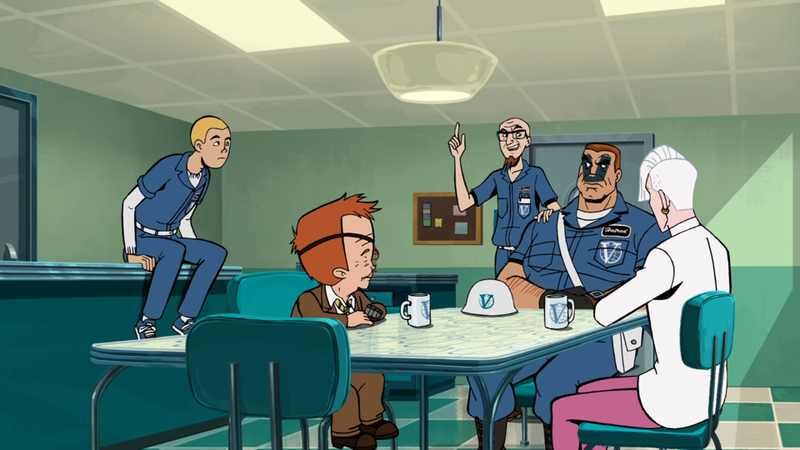 In season five, The Venture Bros. welcomes the guest voice talent of Aziz Ansari, Paget Brewster, Wyatt Cenac, Kevin Conroy, Bill Hader, John Hodgman, Gillian Jacobs, Kate McKinnon, Tim Meadows, J.K. Simmons, and Brendon Small. Created by Jackson Publick and written, directed and executive produced by Publick and Doc Hammer, The Venture Bros. Season 5 is being produced by Titmouse, Inc. 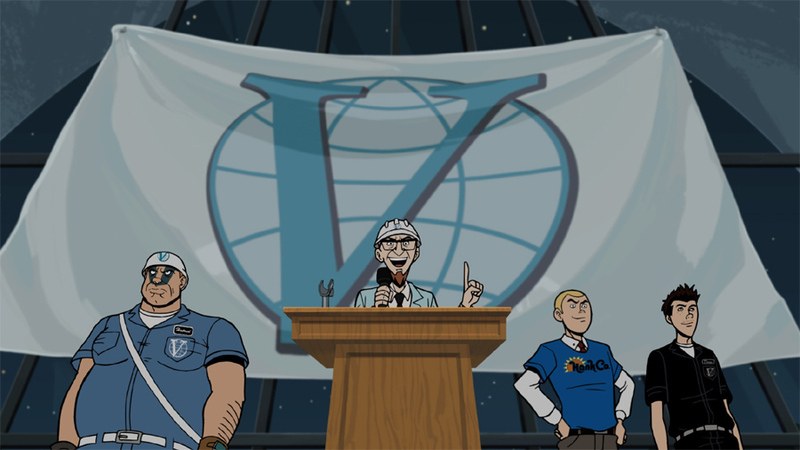 In select cities, fans will have the opportunity to be the first to see the hour-long season five premiere of The Venture Bros. on the massive silver screen. Adult Swim will be screening the season four finale followed by the season five premiere at multiple Alamo Drafthouse locations in Austin, Denver, Houston, Kansas City, and San Antonio on Tuesday, May 28. Brooklyn, NY fans can also join in the fun for a screening on Wednesday, May 29 at Nitehawk Cinema.